Having keen interest in writing and research alongside architectural design, she worked for the Cochin-based architecture magazine Design Detail until 2015 where she was part of the editorial & writing team. Her chief interests lie in the overlaps between architecture, literature, visual culture and the city, an idea she explored further in her Masters thesis titled The Art Biennale Phenomenon: In Conversation with the City. She was invited to present her Masters’ thesis at Performance and Performativity in Modern South Asia – an Interdisciplinary Preconference, in 2017, conducted by the Center for South Asia, University of Wisconsin-Madison, USA. 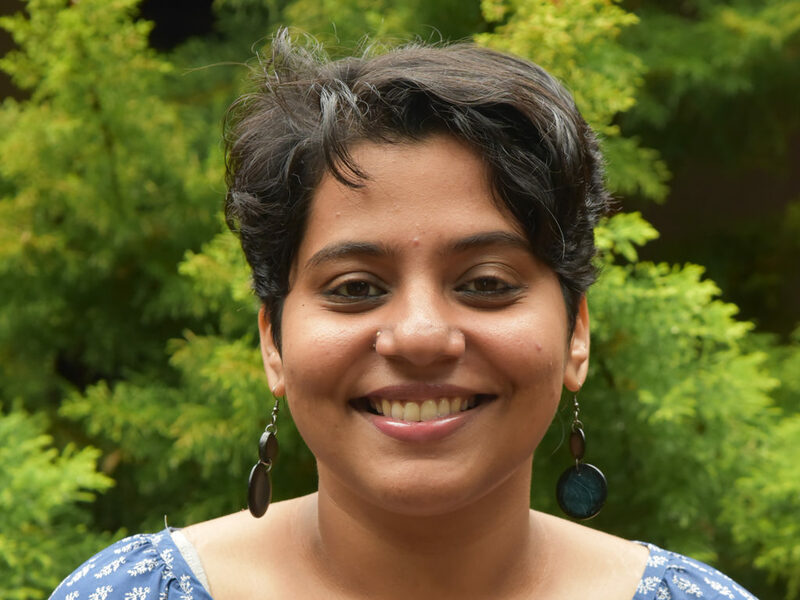 She worked as Assistant Professor at Mysore School of Architecture, Mysore, from 2017 – 2018.